Situated in heart of the delightful village of Boughton, on the outskirts of Northampton. 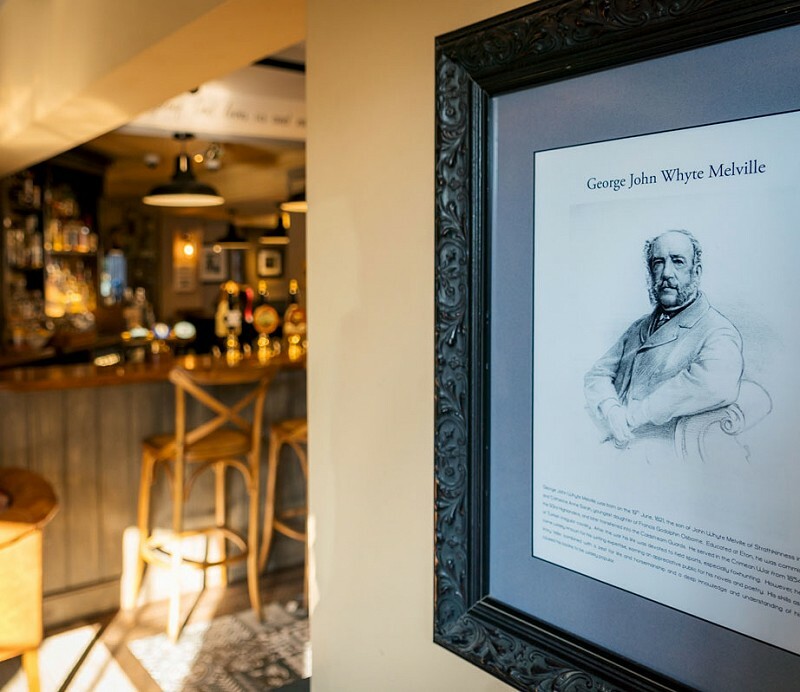 The Whyte Melville is a family owned traditional village pub with a very modern feel. Our menu changes with the season and the seasonality of our produce, using the very best suppliers. The theatre style kitchen allows you to see your food freshly prepared to order. We have two log burners for the winter months and with a fantastic terrace and beautiful walled beer garden with views of rolling Northampton countryside in the Summer. There is a delicious wine list stocked from France, Italy and the New World, to enjoy by the glass or bottle. The bar is stocked with premium spirits, four cask ales, two craft lagers and ice cold beers & ciders on tap. Whatever the occasion our team will do our upmost, that when you leave you feel better than when you arrived. Add the day and month (we wouldn't ask for the year) and we will email you a birthday present.